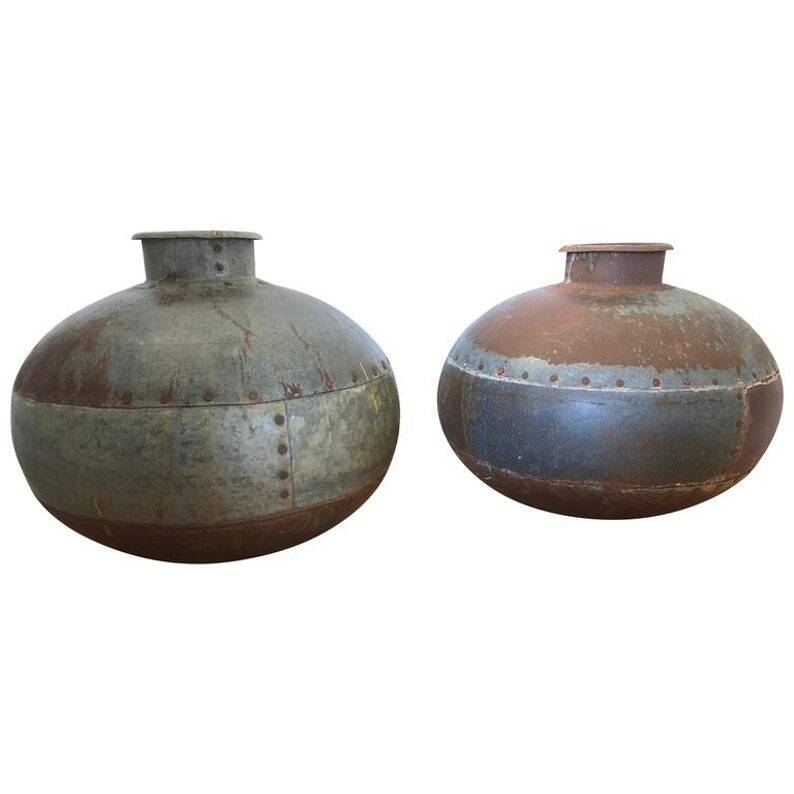 Earthy colors and orb shape highlight this pair of antique metal water jugs. Riveted sides. Sculptural. Sold as a pair. H 12 in. x Dm 15 in.